Kevin, this is what I had at one stage for my lift up, cut with a dremel type using the long flexible power drive cable. You asked this same question just the other day Kevin in your own thread and received several responses, the 14th post I think, gives the same response as Trevor's above. There are only so many methods of cutting rail to choose from (saw, snippers or rotary) and if the track is already laid, you absolutely must support it when using a saw, as the rail will easily become separated, as you know from your own experience. A hand saw is perfectly adequate, provided it has a good quality blade and in good condition. Try a new blade, but not one from the pound shop, as quality really counts with hacksaw blades when you need a precision cut. 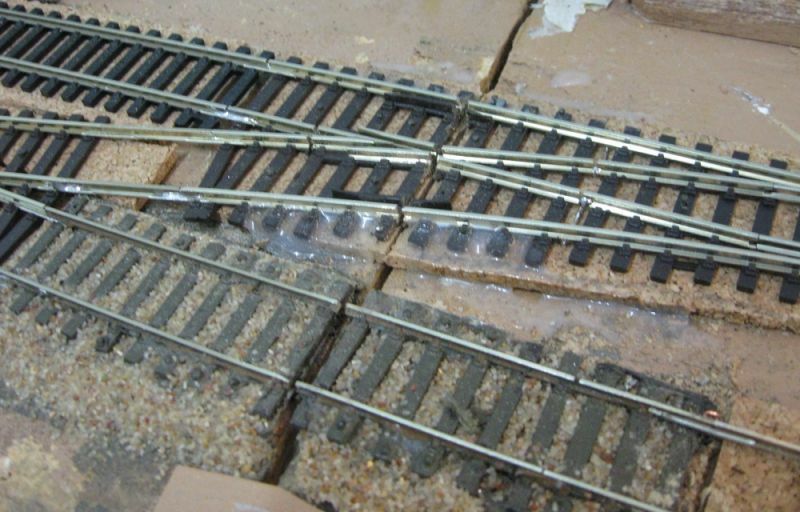 You could also consider cutting the rail before laying the track and get a perfect cut, neatly filed to suit your gap. 32 TPI is way too few teeth for N scale rail and I would not be happy using it for Code 100 in HO or On30 either. Surely there is a shop you can get a Razor Saw such as a Zona or Atlas from somewhere near you? Atlas saws are between 150-400 TPI. Zona ones come in various sizes as well but the higher the number of teeth, the easier it will be to cut. Just do not try to cut steel with it as it will kill the blade, particularly with the Atlas saw!